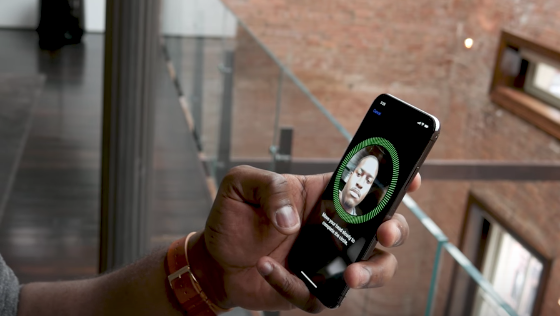 Apple is currently focusing on single-user authentication with Face ID on the iPhone X, likely meaning that support will not be added for multiple-user support in the near future. 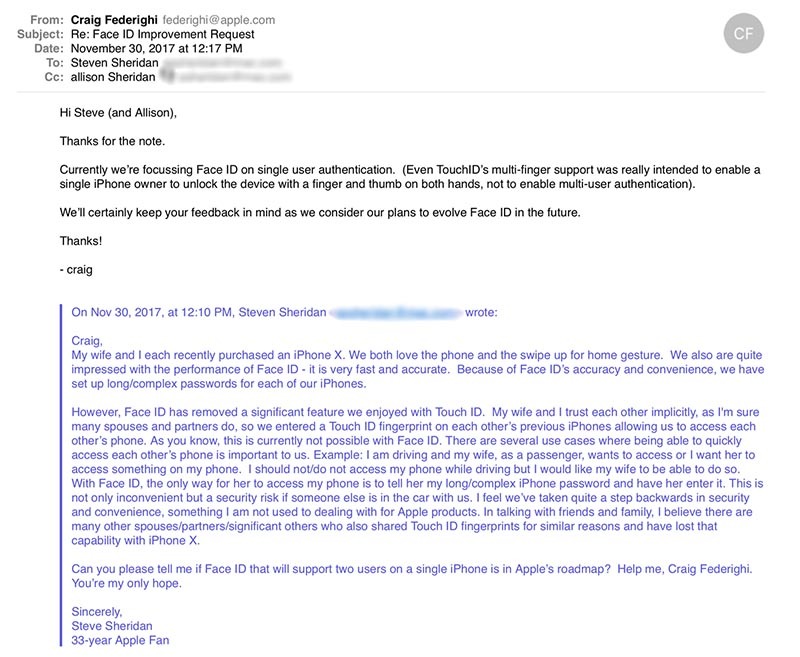 According to an alleged email exchange between a customer and Apple software engineering chief Craig Federighi posted on Reddit, Apple doesn’t have any immediate plans to implement multiple-user authentication with Face ID. The customer in question brought up concerns regarding the iPhone X‘s Face ID system and how he can no longer share an iPhone with his spouse. In the past, both he and his wife had registered their fingerprints on previous devices, allowing each to have access to the other’s iPhone. Federighi’s response makes it clear that Apple currently intends the iPhone to be a single-user device, and that there aren’t any immediate plans to add multiple-user support. The Redditor who shared the email has a generally good reputation on said website, so one can be inclined to believe the email exchange to be genuine. According to Apple, Face ID has a one in 1,000,000 chance of being bypassed, while Touch ID has a one in 50,000 chance. As such, Face ID is generally very secure, however only for one user, at the moment. Vietnamese security firm Bkav recently found a way to trick Face ID with 3D-printed masks.